The Mi over-ear Headphones by Xiaomi will surely fulfil your auditory needs. Audio quality is well balanced across its frequency range, and it provides really good timbre and ample loudness. It's weakness is in the fact that there is a lot of sound leakage. If you don't want others to listen to your playlist, then this is not the headphone you want to buy. Additionally, it is really comfortable in long duration usage. With a price tag of Rs. 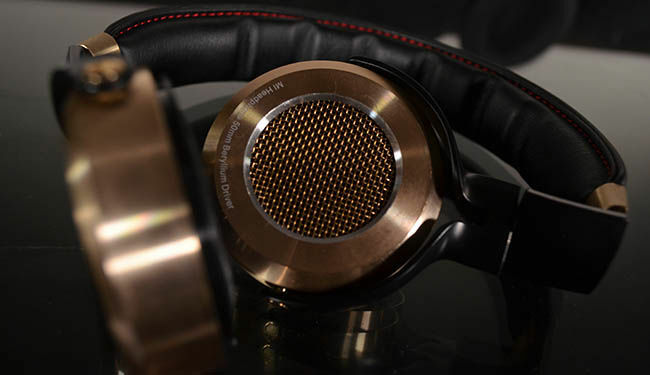 5,499, the Mi Headphones can be a direct challenger to the Sennheiser HD 449. We recommend it to anyone who is ready to spend a bit for a good-looking comfortable headphone with excellent audio quality, and doesn't mind the leakage. It’s always pleasant when good-sounding audio equipment comes by. At first sight, the Mi Headphones will give you the impression of a device built with care and precision. It looks good, and is packaged neatly. It looks like the kind of headphones that are built to look good and sound better. After about two continuous weeks of listening to a diverse range of tracks and a lot of rough handling, here’s what I feel about the Mi Headphones, that started selling in India from July 23. Fitted in default with the smaller earpads, the Mi Headphones look smaller and lighter than a lot of other circumaural headphones in a similar price bracket. The package contains the headphone unit, three detachable ear cushions, a detachable Kevlar fibre wire with a 3.5mm audio connector, a hard case, a drawstring bag, a 6.3mm adapter, an airplane adapter and a user guide. 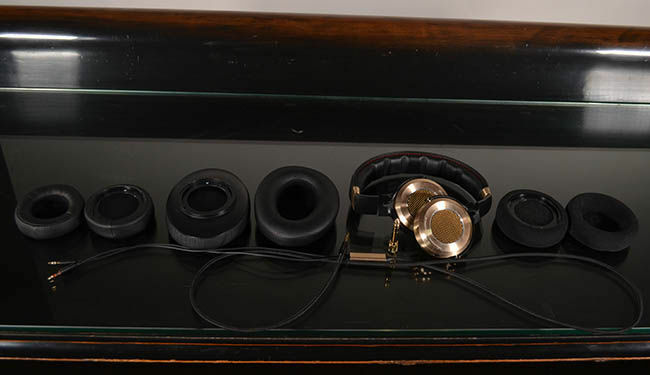 The Mi Headphones have a premium finesse about it, with the use of black faux leather stitched with red thread, gold-coloured brushed metal bands, black plastic hinges, and the large, prominent, muted gold wire mesh on the outer face of the headphone drivers. The left and right channels are colour-coded with white and red respectively, so that you correctly plug in the connecting wire. Xiaomi has used Kevlar fibre with its connecting wire, which is a huge boon for rough handling. Kevlar fibres are made to withstand more strain owing to their high tensile strength, and additionally, the finely stitched black fibre cable of the Mi Headphones add a nice touch of sophistication to it. The ear cushions provided are really comfortable. I found the on-ear foam cushions to be the most comfortable, owing to the large, soft padding on them. You can keep listening to music for hours, and it will not make your ears sweat or feel uncomfortable. You can alternatively choose between the other two, if you like smaller cushions. Overall, quite nice. Over the last two weeks, I have subjected the Mi Headphones to a fair amount of rough handling, packing it hastily into overpacked bags - and there is no real sign of wear and tear. 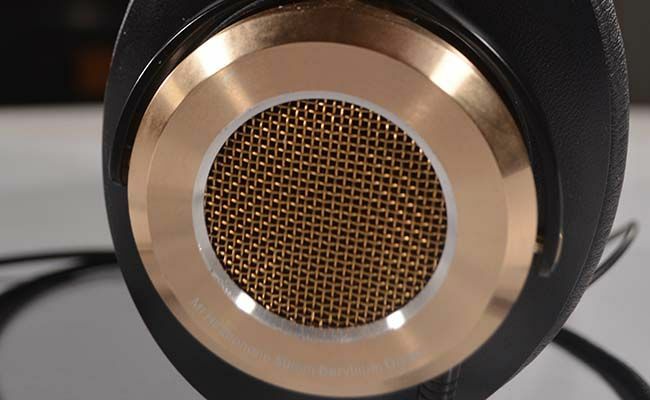 The gold-finished aluminium grilles have slight brush marks on their outer ring, but apart from that, everything from the headband to the hinges and the connector wire seem as good as new. Here’s getting to the brass tacks, theoretically, Xiaomi has powered the Mi headphones fairly well. It covers the entire sonic range of 20Hz-20kHz, along with 32Ω impedance and 98dB/W sensitivity. 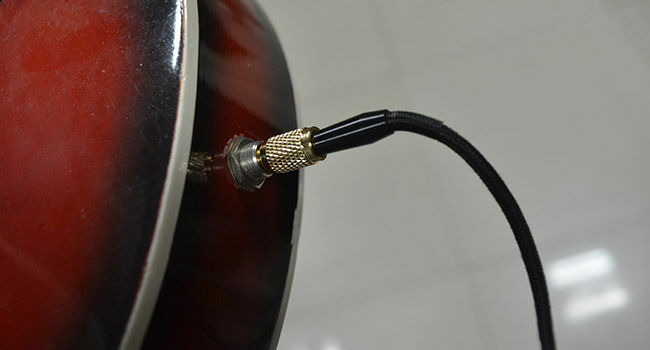 For most of your portable audio sources, a 32Ω nominal impedance (i.e., the mean value of impedance across all frequency ranges) should provide you with clear, distinct sound. 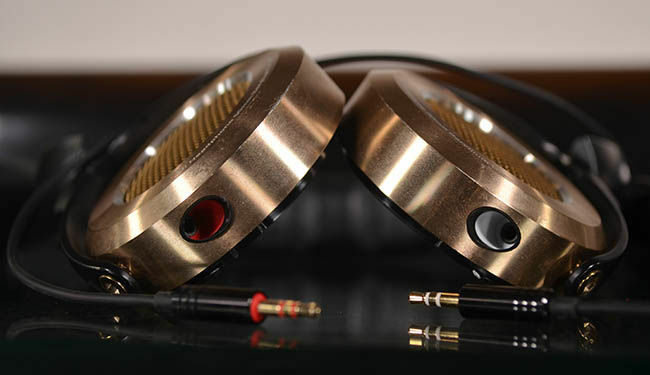 A 32Ω impedance is considered ideal in most portable devices, because it gives you the highest fidelity audio in a value for money setup, and also, balances power flow within headphones. 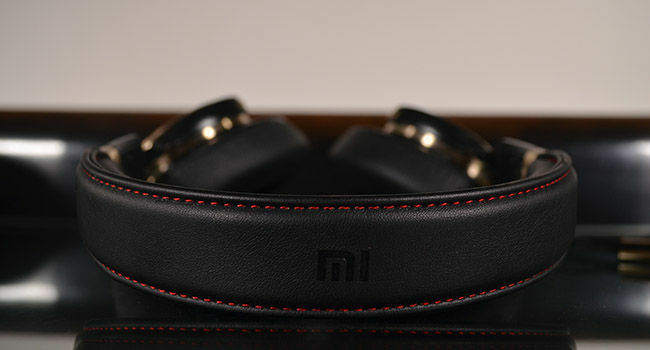 The Mi Headphones also have a rated power of 50mW, which is ample. The 98dB/W sensitivity alongside 32Ω impedance gives it a power rating of 31.25mW. Theoretically, this means that for listening to music on your smartphones (which this is built for), you will not need a headphone amplifier (which will make the audio practically inaudible), and you can keep pushing the headphones to maximum loudness output, which it should provide without distortion. I listened to a variety of genres, and here’s what I found - my copy of Pink Floyd’s P.U.L.S.E. sounded pristine. Listening to ‘The Great Gig in the Sky’, the Mi tackled the high pitch with ease, and the loudness is well distributed by the large 50mm diaphragm, not hitting sharply into your eardrums at maximum volume output of an iPhone 5s. Among many others, a few notable tracks that I put the Mi through were John Petrucci’s ‘Damage Control’, ‘Rise’ by Flobots, ‘Lux Aeterna’ by Clint Mansell from the movie ‘Requiem for a Dream’, ‘Deliverance’ by Opeth, ‘Hump de Bump’ by The Red Hot Chili Peppers and ‘Short Skirt, Long Jacket’ by Cake. If you listen to a lot of live concerts, or are a film enthusiast, you will love the treble balance in the Mi. Baritone voices like that of Geoff Tate (Queensryche)’s and the high pitch of Steven Tyler (Aerosmith) sound really, really good. The Mi tilts ever-so-slightly towards the bass when you’re playing Funk or Classic Rock, without taking your focus away from the solos. The snares are not all over the place, either. Additionally, a slight bias on the bass scale is essential, as a track might sound too flat if the balance is too neutral, and treble-biased audio often sounds too cluttered. The clarity of mid frequencies is good, and you will not feel that the sound is ‘flat’, i.e., without any texture about it. The Mi Headphones are really good to listen to. It is, in fact, very comparable to the long-established Sennheiser HD449, which is often considered as a masterpiece in the 5-6k price bracket for headphones. One major setback, though, is the audio leak in the Mi Headphones. While slight audio leakage in higher volumes is often seen, the Mi Headphones almost function as a speaker, owing to its semi-open design. This is possibly the only setback that I found in an otherwise good package. It is a big enough setback though, and may keep a lot of people from buying these, especially if you listen to a lot of music when you're in public. The headphone is amply powered for listening to music on cellphones and using on laptops. There is an inbuilt omnidirectional microphone with a decent range and good clarity (I could talk in a market with the microphone several inches away from my mouth, and the person on the other side could hear clearly). If you do not mind making everyone around you listen to your playlist, the Mi over-the-ear Headphones are a very recommendable buy, at Rs. 5,499.